In Christianity, Holy Wednesday, also called Spy Wednesday, or Good Wednesday (in Western Christianity), and Holy and Great Wednesday (in the Eastern and Oriental Orthodox Churches), is the Wednesday of Holy Week, the week before Easter. It is followed by Maundy Thursday. Although it is frequently celebrated on Maundy Thursday or Good Friday, the Tenebrae is a liturgy that is often celebrated on this day. The word tenebrae comes from the Latin meaning darkness. In this service, all of the candles on the altar table are gradually extinguished until the sanctuary is in complete darkness. At the moment of darkness, a loud clash occurs symbolizing the death of Jesus. The strepitus, as it is known more probably symbolizes the earthquake that followed Jesus' death: "And, behold, the veil of the Temple was rent in twain from the top to the bottom; and the earth did quake, and the rocks rent" Matthew 27:51(AV). Those promoting a Wednesday crucifixion date instead of Friday argue that Matthew 12:38-40 (ASV) indicates Jesus was to be dead for "three days and three nights," which would not have been possible if he was crucified on a Friday. Elsewhere Biblical texts reinforce the point that Jesus was to be dead for three days and three nights, including in Mark 8:31, where it is written that the Son of Man "must be killed and after three days rise again." In Matthew 27:62-64 the Pharisees quote Jesus as saying, "After three days I will rise again." Others have countered by saying that this ignores the Jewish idiom by which a "day and night" may refer to any part of a 24-hour period, that the expression in Matthew is idiomatic, not a statement that Jesus was 72 hours in the tomb, and that the many references to a resurrection on the third day do not require three literal nights. ↑ McKim, Donald K. (1996). Westminster Dictionary of Theological Terms. Westminster John Knox Press. p. 269. ISBN 9780664255114. 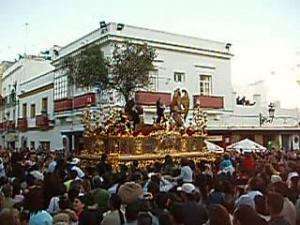 Spy Wednesday: The Wednesday of Holy Week, so named from its being the day on which Judas Iscariot betrayed Jesus (Matt. 26:14-16). ↑ Oppenheimer, Mike. "The Betrayer Judas Iscariot". Let Us Reason Ministries. Retrieved 27 March 2013. ↑ "spy, n.", OED Online, Oxford University Press, December 2013, retrieved 15 Dec 2013, Spy Wednesday n. in Irish use, the Wednesday before Easter. 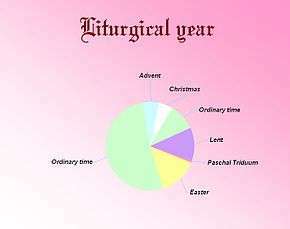 ↑ Packer, George Nichols (1893), Our Calendar: The Julian Calendar and Its Errors, how Corrected by the Gregorian, Corning, NY: [The author], p. 112, retrieved 15 Dec 2013, Spy Wednesday, so called in allusion to the betrayal of Christ by Judas, or the day on which he made the bargain to deliver Him into the hands of His enemies for thirty pieces of silver. ↑ McNichol, Hugh (2014). "Spy Wednesday conversion to Holy Wednesday". Catholic Online. Retrieved 10 May 2014. ↑ "spy". Oxford English Dictionary (1st ed.). Oxford University Press. 1933. ↑ Ken Collins: What is a Tenebrae Service? ↑ The United Methodist Church: What is a Tenebrae service? ↑ Akin, Jimmy (21 April 2011). "The Crucifixion: Wednesday or Friday?". The National Catholic Register. Retrieved 11 March 2012. ↑ Ashley, Scott. "Jesus Wasn't Crucified on Friday or Resurrected on Sunday". The Good News Magazine of Understanding. Retrieved 27 February 2012. ↑ Humphreys, Colin (2011). The Mystery of the Last Supper: Reconstructing the Final Days of Jesus. Cambridge University Press. ISBN 052173200X.